This ultra light heel strap can be fitted to any pair of Beach, Professional, Off Road, Aspen and Cayman Crocs for added comfort and mobility. Ideally suited to people with a highly active lifestyle, try giving your shoes a boost. For sports and outdoor enthusiasts, the Croc Turbo quite literally increases the pulling power of your footwear. Whether you are embarking on a serious trek or pushing the limits on the water, this support aid will keep your Crocs firmly in one place. The fully adjustable strapping has been designed for extra active people and is very hardwearing. The hook and loop attachment is double stitched so even under extreme pressure your Crocs stand firm. The Turbo also makes everyday activities less of a strain on your feet. 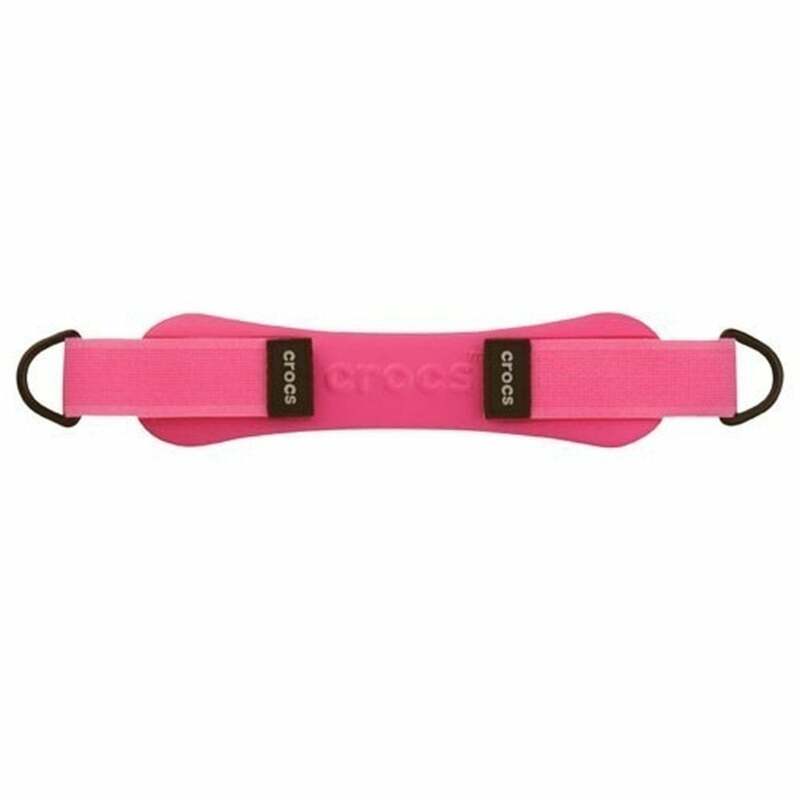 Crafted from the patented closed cell resin (PCCR) used to make our Crocs, this support strap is easy to apply. The Turbo fits the shoe neatly in the same way as the existing strap. Thanks to a special hook and loop system, it can be attached to the rivet hole in no time at all. The strap is ultra light weight, so you can experience superior comfort without even realising its there. Made from super soft Croslite the Croc Turbo strap has the same anti-microbial qualities as our shoes. Built to last, this support wont become a magnet for germs and unpleasant odours. If you like the look of these your sure to be a fan of the other Crocs Accessories too.